Photo Puck - Stinky Lockers Ltd.
Upload your photo and we'll create your very own photo puck! Do you still have cd's sitting around the house with digital files on them that you planned on printing? 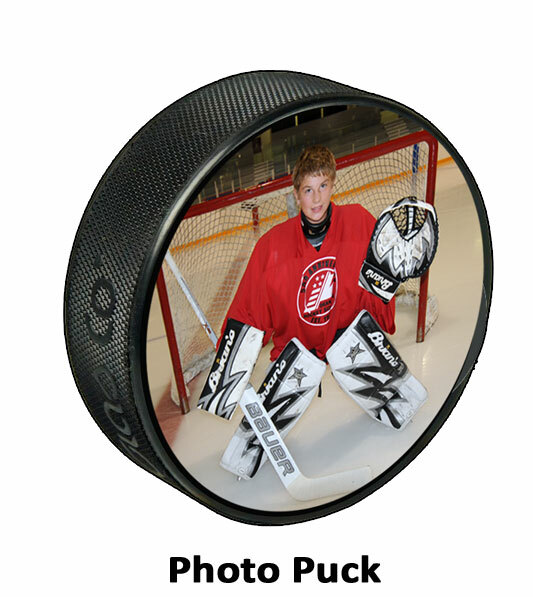 Why not let us make you a custom photo puck. Win a State Championship or Provincial sporting event? Archive the memory and get it on your "Wall of Fame!" Upload your favorite 5 photos and we'll send you an email proof before we print! Note: Photo images must be hi-resolution. (Ideally 300 dpi) Web images cannot be used.